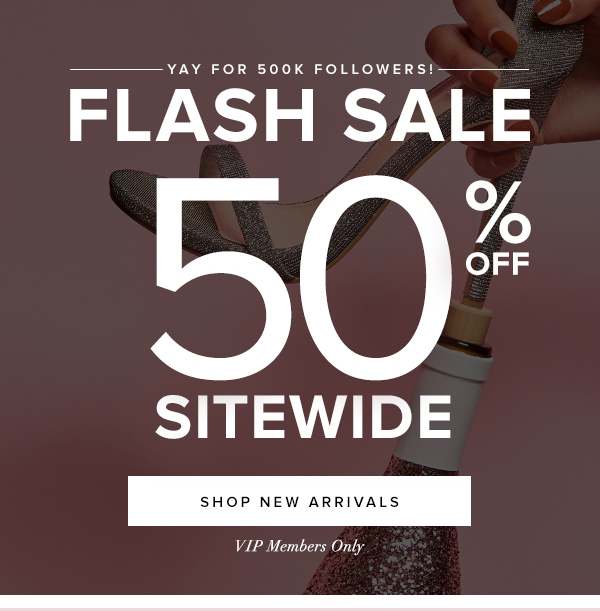 **50% off sale is valid sitewide. Prices will be reflected in cart and on website. Discount applies for VIP Members only. VIP credits, store credit, referral credit and/or any available promotional credit may not be applied to this sale. Cannot be applied to any previous order or combined with any other offer. Valid starting 10/25/18 at 12:00 a.m. (PST) and ending 10/26/18 at 11:59 p.m. (PST). Free shipping on VIP Member orders totaling $39 or more only in the contiguous US. Other terms of our Shipping Policy still apply. Discount excludes any applicable taxes or shipping. Through the date specified and subject to change without notice. Terms subject to change at any time without notice.